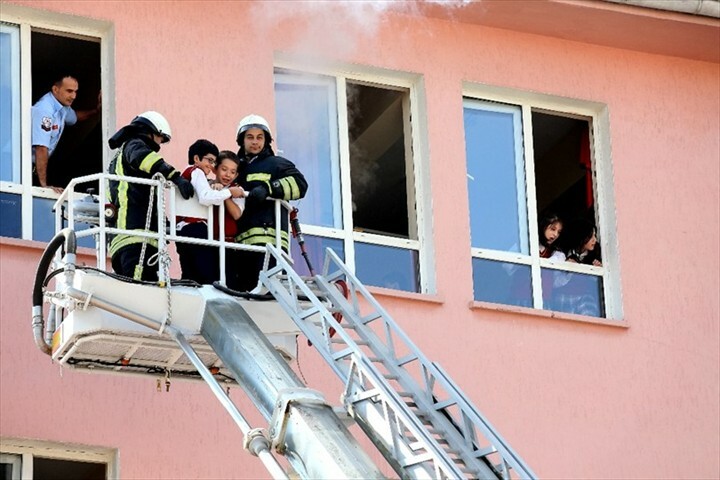 Students of Atatürk Primary School were informed practically about what they should do during a fire. 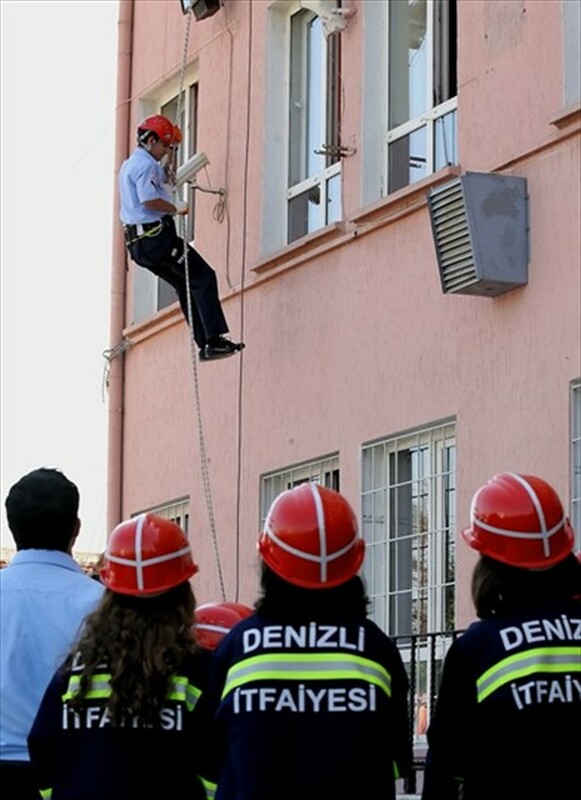 Department organized the fire drill for students of Atatürk Primary School and gave the necessary training on what to do in the case of a fire. 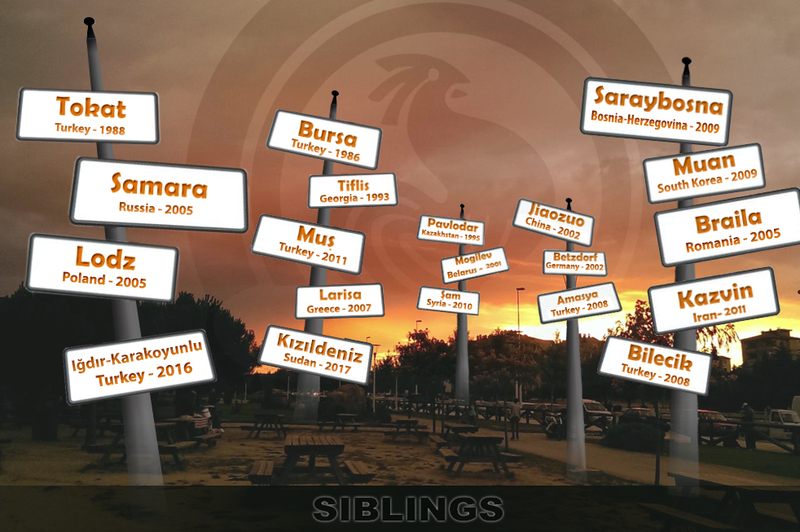 When the school bell rang, all students left the classes and gathered in the school yard. A fire generated in the school yard was extinguished by students and fire brigade team. 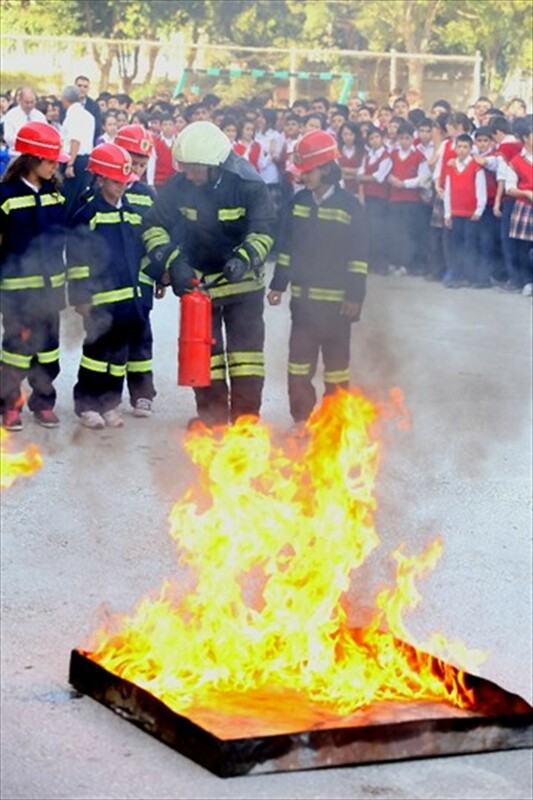 Students were informed about the fire-fighting and fire-fighting equipment. Exercises were met with great enthusiasm and interest by the students. Then student who was unable to leave the classrooms were ridden down with a ladder by fire department team. At the end of the exercises, Fire Brigade Department informed to students what they should do during a fire.